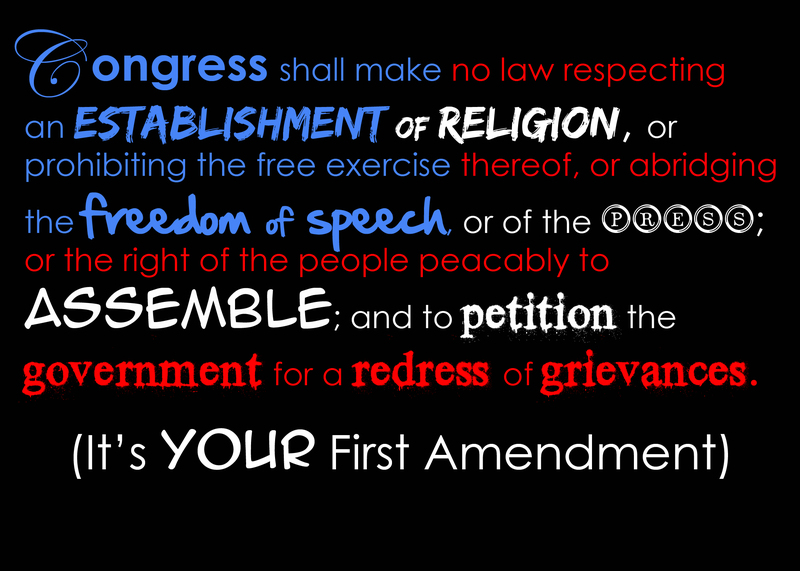 In case you didn’t know, this past Wednesday – December 15th – was the anniversary of the ratification of the Bill of Rights. As a teacher of Mass Media and Communications and the Adviser of the school newspaper, I tremendously fortunate to work with a great group of students – each of whom brings some interesting insights into most topics. I have no problems saying that we have a group of students who are all over the spectrum – in every which imaginable way – and I love this aspect. I was really pleased to see the responses that I got — and full disclosure: I wasn’t smart enough to come up with this part on my own – I got the lesson from Tiffany Baricko, who had it listed on the American Society of Newspaper Editors’ High School Journalism Lesson Plan Archives (specifically, found here). 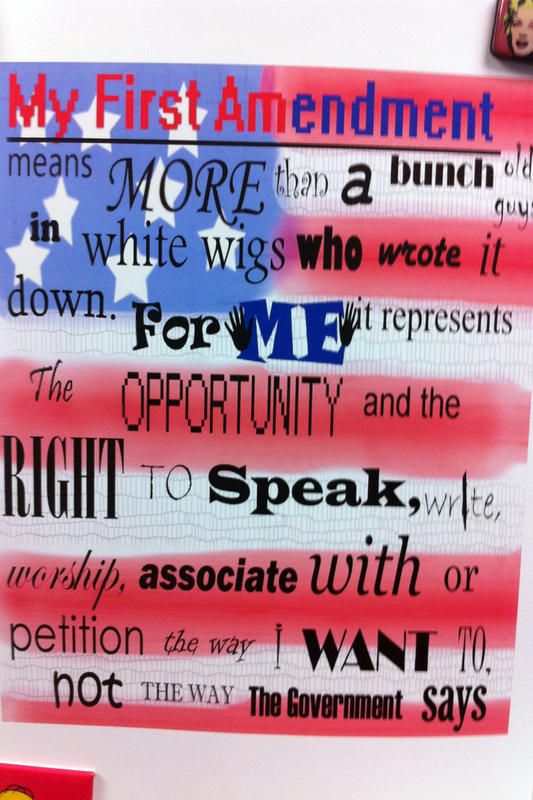 From here, we discussed everything they brought into this and then decided to created a “wordle” concerning the First Amendment and what it means to them in particular. 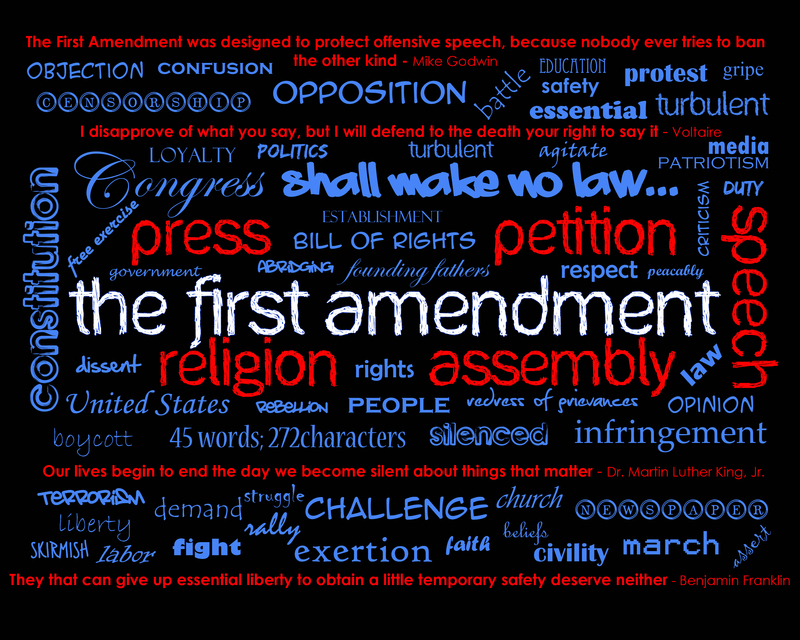 This provided them the opportunity to again demonstrate what part of the Amendment means the most to them – for most it was speech, for a few it was the press, and for others it was the freedom of religion. Again, I was pleased with the outcome – to some, these might not seem like much, but I’m telling you, they really took pride in these. They took big time ownership in this project. 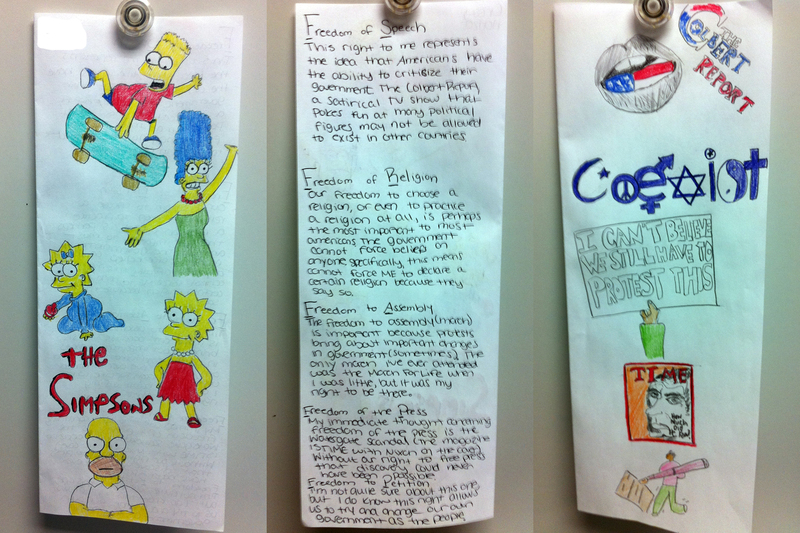 We spoke of freedoms and what it means to appreciate these. We spoke of WikiLeaks and censorship and standing up for differing opinions. Every one of my seniors who is 18 volunteered that they’re registered to vote and can’t wait to do so. One spoke of her experience of voting this past November – and they were enthralled. Thanks to Facebook and a friend of mine posting this video, we looked at The Clash’s Know Your Rights. For some, this was their first exposure to punk music. We listened to the song and I’m not so sure they would have really gotten it if it were not for the sheet I gave them with the lyrics. 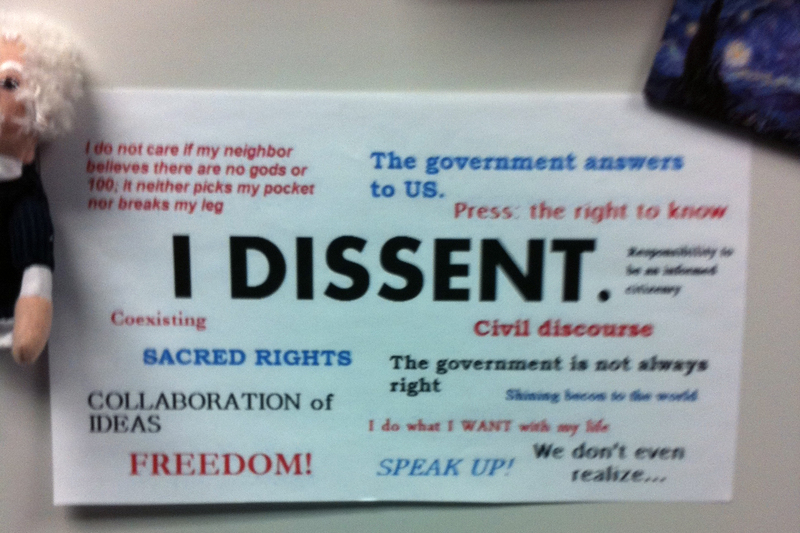 It generated conversation on what our rights look like to somebody who’s not a United States’ Citizen. We spoke of why punk music even came about. Some clean cut kids were exposed to some gritty, grimy stuff – and appreciated their message. As I said on Twitter and Facebook, I have a feeling that The Clash was being downloaded that night. And you know what? I doubt that one single part of this will show up on a standardized test. 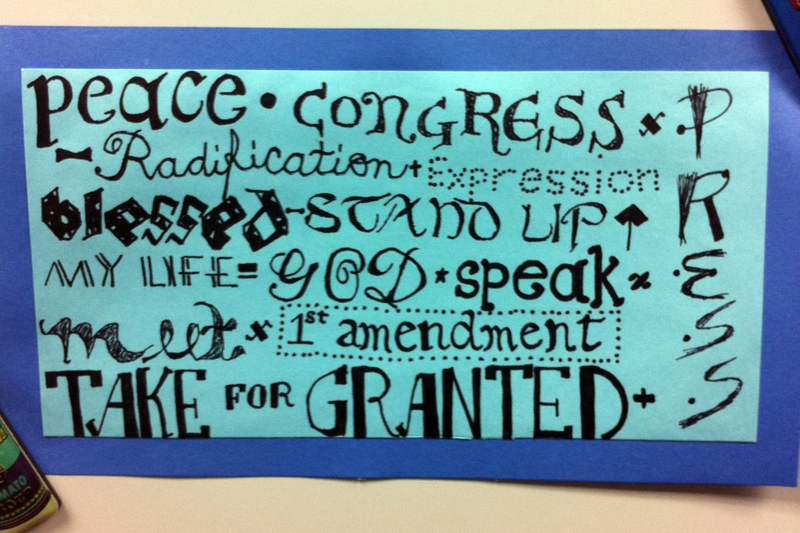 This entry was posted in daily life of a teacher and tagged First Amendment. Bookmark the permalink.